Article contributed by HealthCMI Acupuncture effectively alleviates epilepsy, a nervous system disorder characterized by unregulated brain cell activity causing seizures. New research finds acupuncture combined with medications is more effective than using only medications as a therapy for epilepsy. The research project, conducted at the Ninth People’s Hospital of Henan, randomly divided 60 cases of epilepsy equally into a control group and an acupuncture group. The control group received only pharmaceutical medications. Epilepsy is treated with the DU, REN and Heart channels. 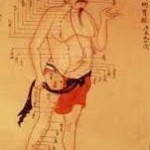 The acupuncture group received both scalp acupuncture and body acupuncture in addition to pharmaceutical medications. The acupuncture group demonstrated significantly superior patient outcomes over the medication only control group. Drugs and Acupuncture The control group received oral administration of sodium valproate. This pharmaceutical medication is an anticonvulsant commonly used in the treatment of epilepsy, anorexia nervosa and bipolar disorder. Adverse affects associated with sodium valproate include fatigue, tremors, sedation and digestive disturbances. During pregnancy, this medication poses a very high risk for birth defects. Sodium valproate was administered twice daily with a dosage of 15-35 mg/kg for 30 days, comprising one course. The treatment lasted for three courses. The acupuncture group received needling in addition to the administration of sodium valproate. Scalp acupuncture needling was applied to the chest area, the epilepsy-control area and the chorea-tremor control area. 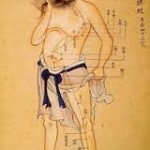 Body style acupuncture was applied to Fengchi (GB 20), Baihui (DU 20), Sishencong (EX-HN1), Yintang (EX-HN3), Shuigou (DU 26), Neiguan (PC 6), Hegu (LI 4), Zusanli (ST 36), Fenglong (ST 40), Sanyinjiao (SP 6) and Taichong (LR 3). DU 26 is a vital acupoint in refreshing the brain. According to Traditional Chinese Medicine (TCM) principles, this acupuncture point clears the senses, calms the spirit and benefits the lumbar spine. DU 26 is indicated for both seizures and epilepsy. PC 6 is the Luo-connecting point of the Hand Jueyin channel. In TCM, PC 6 is used to calm the heart and spirit, regulate qi and suppress pain. PC 6 is indicated for the treatment of palpitations, chest pain, seizures and epilepsy, nausea, vomiting and heart beat issues. The lifting and thrusting needle technique was applied to DU 26, PC 6, EX-HN3, DU 20, EX-HN1 and LI 4. The reinforcing-reducing method was applied to other acupoints until the patient felt soreness and numbness consistent with the arrival of deqi. The needles were retained for 30 minutes and 10 days comprised one course of care. There was a 2 day break following each course. The treatment period was a total of 3 months. Following the completion of acupuncture therapy, a total of 12 acupuncture group patients showed no epilepsy related symptoms for at least 1 year. A total of 9 patients showed excellent improvements and 6 patients showed moderate improvements. The overall effective rate for the acupuncture group was 90.00% compared to 73.33% for the control group. Based on the positive clinical outcome, the research concludes that acupuncture combined with sodium valproate has a synergistic clinical effect leading to improved patient outcomes. AcuOffice TCM Theory Epilepsy is manifest in seizures, loss of consciousness, foaming of the mouth, headaches, dizziness, a stifling sensation in the chest, pallor, clenched jaw, incontinence of urine and feces, screams and/or staring of the eyes. According to TCM principles, epilepsy is an excess condition although it may arise from deficiencies in chronic cases. The onset of heredity related epilepsy is usually during early childhood. In TCM, epilepsy involves internal liver wind, liver qi stagnation and may also be exacerbated by dampness in the spleen and stomach, particularly due to irregular food intake. Fear and fright may trigger epilepsy. Fear disorders the qi and fright descends the qi thereby causing liver and kidney related internal wind due to deficiency. DU, REN, and Liver channel points are often selected for treatment during a seizure. The focus is to revive consciousness, dissolve phlegm, soothe the liver qi and to dispel the wind. Heart, Spleen and Kidney channel points are commonly selected following a seizure. The treatment principle is to soothe the spirit, nourish the heart and kidneys and to strengthen the spleen and stomach. Blue Valley Acupuncture Clinic- Located in Dayton, WA. DENISE LANE, EAMP, LAc; provides acupuncture treatments to folks in the greater Walla Walla Valley, Wa., Dayton and nearby towns.